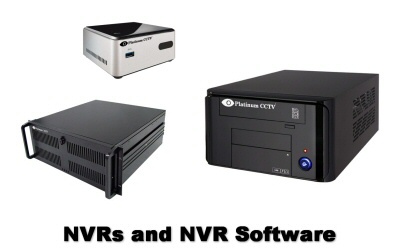 These NVRs (Network Video Recorders) and NVR software applications are ideal for any home or business security camera installation with IP cameras. Our AVM NVR software allows you to record from your IP cameras directly onto your PC or Laptop over the network, or step up the game with our custom-built NVRs that have the AVM software already built-in and loaded for an easier installation. Either way, you get our AVM software, with the best playback - even search through days of video visually in seconds to see everything that happened, as well as industry leading remote access from virtually any device (iPhone, Android, BlackBerry, Windows Phones, PC, Mac and more). Our AVM NVR software is ideal for the do-it-yourselfer, or anyone who wants to use their Windows 7 or 8.1 PC to record from their IP cameras. Systems can range from just 1 or 2 cameras up to 128 cameras in a single PC. Simply install the software on a network connected PC, and it will allow you to record from your IP cameras. These NVRs are self-contained recorders for IP cameras. All of our NVRs feature the AVM (Advanced Video Management) software, and come in various sizes, specifications and hard drive sizes. When purchased with our IP cameras, cameras and servers will be pre-configured so that the cameras will come up and start recording as soon as they are plugged into the network with the NVR.